I wrote this little piece up on my blog about how to start learning about permaculture. I"ll post it here for people to read. So you think permaculture is cool, but it seems so complicated and you don't know where to start. Well it doesn't have to be complicated if you start small. 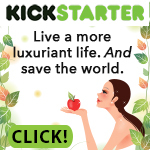 There are many aspects of permaculture which may appeal to you; pick one and start there. 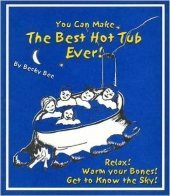 Maybe you heat your home with a conventional wood stove and rocket mass heaters seem really sweet to you. Maybe you have a little garden going in the back yard, but it's a lot of work and you would like to not have to water or fertilize it; then hugelkultur is the place to start. Or maybe you would like to raise some chickens for eggs or meat, then learning about the paddock shift system might be for you. At the end of the day it's all about having fun while producing something which benefits you and others. So pick a particular area in your life which you would like to see improve and you are interested in and begin there. Growing food is probably the most popular major element of permaculture where people start. By growing some or all of your own food, you are greatly reducing the strain on the planet that is associated with large scale agriculture. If your back yard is producing food for you to eat, it's that much less land that needs to be taken over somewhere else to grow food for you. 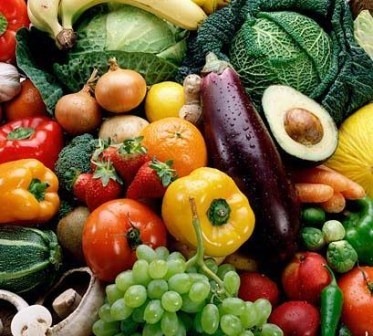 When growing food in a permaculture way, you can get higher, more diverse yields from the same area as apposed to conventional growing methods, not to mention vastly superior food quality. Not only are the yields greater and the food of a higher quality, but the energy required to produce those yields year after year is much lower than conventional systems. When it comes to the subject of growing food in a permaculture way, there are a ton of books out there to read. With so many books written on the subject, there come differing ideas and thoughts on how to go about doing it, but the core themes of diversity, nutrient accumulating plants and perennials over annuals are common throughout. Some ways may appeal to you more than others, but taking into account your climate, amount of space you have and how much time you are willing to invest is key to success. I suggest heading over to my page of books I have read and recommend to check out some of my favourites. One book I have yet to write about, which I think is probably the best introductory permaculture book on growing your own food is Gaia's Garden by Toby Hemenway. 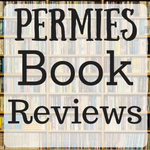 Head on over to permies.com to learn more about the book and see what people who have read it have to say. Another vast topic which might get you excited to learn more about permaculture is the subject of alternative building techniques. In our western society we have been following a pretty standard way of constructing our houses for quite some time now. There is very little room in the local building codes for any serious innovation. These houses are however very energy inefficient and expensive to build. In the world of permaculture, we seek to come up with better, more climate/site specific building techniques which are cheaper, have less toxic materials and can be built by the people who will reside in the home. There are many different ways to go about building a better home which people all over the world have been experimenting with. Just to name a few, we have: straw bale, earthship, earth sheltered/wofati, cob/adobe, timber frame, and more. Each one of these construction techniques can include elements of the others as well as more specific elements such as passive solar, thermal mass, greywater reuse, attached greenhouse, and more. As you can see there are many ways to go about building a home which works with nature rather than against it and maybe one of these topics will peek your interest enough to do further research on. If you already have a farm where you are raising animals, a good place to start down permaculture road is by learning about alternative animal husbandry. Using permaculture techniques, you can greatly reduce your animals feed and vet bills, as well as significantly increase the taste and quality of the meat/eggs/milk of the animal. Just like any other area of permaculture study, there are different ways to go about doing this and it all depends on your local situation. For more information regarding this topic I suggest reading my article on raising chickens and then head over to permies.com to learn more on the specific animal you wish to raise or to find some good books to read on the subject. 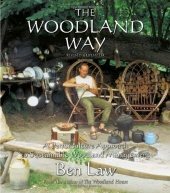 Another entrance into the wide world of permaculture is through energy; how to conserve it, alternatives to conventional oil/gas/nuclear, and ways to incorporate it into your life. You could delve deeper into the subjects of generating your own electricity using the sun, the wind, wood, or even water depending on what you have available to you in your current situation. If generating your own power won't work, then looking into reducing your current energy bills through the use of such things as rocket mass heaters, clothes lines, and bicycles might be the way to go. 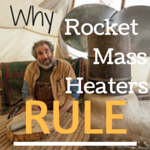 Some people are reporting a 90% reduction in the amount of wood they burn to heat their homes after switching to a rocket mass heater from a conventional wood stove. 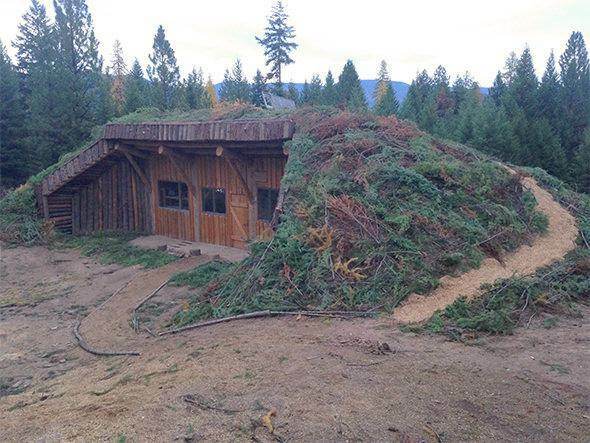 That is a lot trees that don't need to be cut down and a lot of time splitting wood you can save. To learn more about energy as it relates to permaculture, check out the energy forums at permies.com. Do you like going fishing and eating delicious fish? How would you like to be able to do this on your own property? If this appeals to you, then maybe aquaculture is the way into permaculture for you. With aquaculture you can raise fish in ponds on your property in a way where you don't have to pay for feed and expensive concrete for fish ponds. Using first-class permaculture design you can build a fish habitat that mimics a nature and allows for the fish to look after them selves while your reap the rewards of super high quality fish. As you can see, permaculture is an all-encompassing area of study. I have given examples of only a few of the topics relevant to permaculture. The main principle behind permaculture is good design and using that good design to come up with as many beneficial connections between the different individual systems as possible. 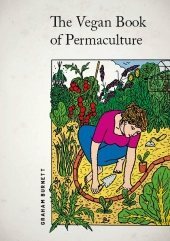 I highly recommend that anyone who is even remotely interested in designing their lives for the better with permaculture, take a permaculture design course. This course teaches you all the basics you need to know to get started with designing your own systems and the connections between them. Geoff Lawton has been hosting a fabulous online design course for the last two years and is hosting one again this year starting on February 7th. I took one of Geoff's online design courses and it was awesome. It allows you to learn all about permaculture from one of the leading teachers in the world right from the comfort of your own home. If the design course isn't for you yet, then check out some of the individual aspects of permaculture and start to see what the excitement is all about. I love that drawing/map/plan at the top of your post. Was that one of yours, or a found piece? I am thoroughly sold on Permaculture and have been using some techniques, both analysis and "solution recipes" (My story). However, I am having a hard time justifying thousand(s) of dollars to take a PDC. I am currently trying to justify the Geoff Lawton PDC that is currently in enrollment. Finding objective opinions on permaculture is a difficult task. Since you took it, I have a few questions. I have watched many, many hours of permaculture design videos online (including Geoff's promotional videos and free videos of other PDCs) and feel as though they all oversell their usefulness (as instructional videos). I would like some confirmation that this (or any) PDC course is not just more of the same. Are there DETAILS of HOW to perform this analysis/design? How have you used this course since you completed it? 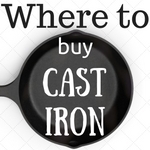 Have you gotten a return on the investment (whether monetarily or otherwise)? I am currently in the process of saving to purchase a tract of land (5-20 acres) to begin the homesteading process; if I drop a bunch of cash on a PDC, it will put me back a significant amount of time. I need to know that it is worth the time (to re-save the cash) & money. I should make clear that I want to take a PDC, but am having difficulties with the cost/benefits analysis, in part because I am passionate about the topic. 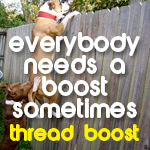 Nice project thread there Tom! I was like you when I took the online PDC, didn't want to spend lots of money and time going to a PDC, had been actively reading/watching/listening to as much permaculture information as I could get my hands on, but still wanted to take a PDC some time. I chose the online pdc because it was relatively cheap and allowed me to work from home without going anywhere. After taking it, I found that I definitely learned some things that were not presented in all the free material I was consuming. I also enjoyed the 2 other course that Geoff offered up as bonus content after the pdc was complete, his earthworks course and the reading landscape course. There are details of how to go about analysis and design in the course. Again the reading landscape bonus course goes into more detail on that and follows Geoff to a few consulting jobs where he comes up with a design for customers. I found it helpful. I also liked being able to re-watch certain videos to get a better understanding. After taking the course I found that I was better able to "see" the plan on the landscape as I walked around. It gave me a better understanding of what to look for on the property in terms of coming up with a good design. It's a little difficult to explain I guess, but the general permaculture picture got a little clearer for me after taking the course. I understand not wanting to spend a lot of money on a course which it seems like you can learn all the info for free on the internet. I also see from your project thread there that you are already well on your way down the permaculture learning road by just getting out there and doing things with your property. The best thing about the only pdc in terms of money, is the fact that you can do it from home and not have to take time off work. Taking two weeks off and going some place to pay more than $1000 for a pdc, plus missing out on the pay cheque is tough. I would say a pdc might not hugely benefit you if you were to stay on the small lot you have, but if you are looking to upgrade to some acreage and have a fresh go at it there, I think taking a pdc would be beneficial. 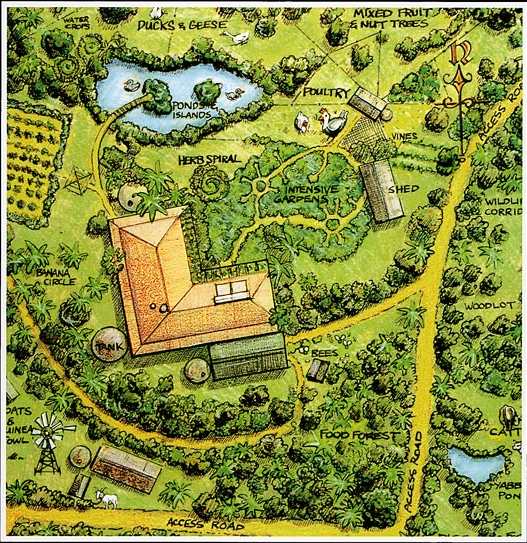 Permaculture is all about creating beneficial connections between system on your land and the pdc helped me better see how this is done. If you are passionate about permaculture, taking the pdc would also allow you to hire out your skills under the permaculture label in the future to make for another income stream. Hopefully this helps out a little. It is very helpful... thank you. My wife and I are definately wanting some land. I want many acres (40-100) of land, but finances are telling us that that will take too long to accumulate, so 5-20 acres will have to suffice (for a while at least). I have broken out and posted my question as a primary thread to get more discussion and to not hijak your thread.